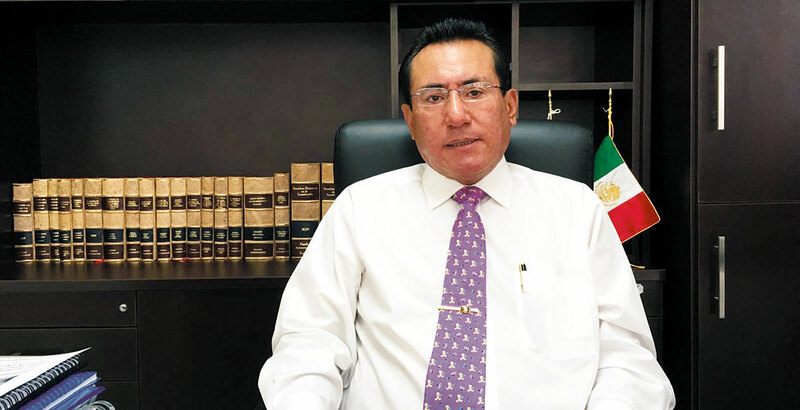 A state judge ordered the release of the former mayor of Temixco, Miguel Ángel Colín Nava, who is charged with the alleged diversion of more than 80 million pesos ($4,219,300 USD). Colín Nava was released at the end of the trail-related hearing held on Thursday, in which the judge considered that the evidence provided was not sufficient enough to bring him to trial and send him to custody. 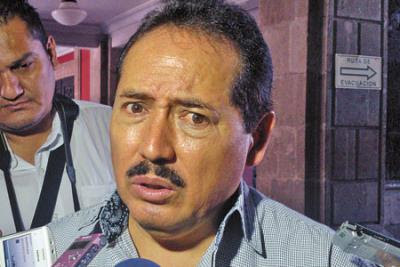 This would have been the second arrest of a former mayor because last month his Cuautla counterpart, Jesús González Otero, was arrested under the same accusations. Both belong to the PRD party. The former official was mayor of the Morelos municipality during 2012-2015 and was apprehended yesterday afternoon when he left the hospital ‘Dr. José G. Parres’, located in Cuernavaca, where he currently works. He was then taken to the Social Reinsertion Center of Atlacholoaya, in the municipality of Xochitepec. 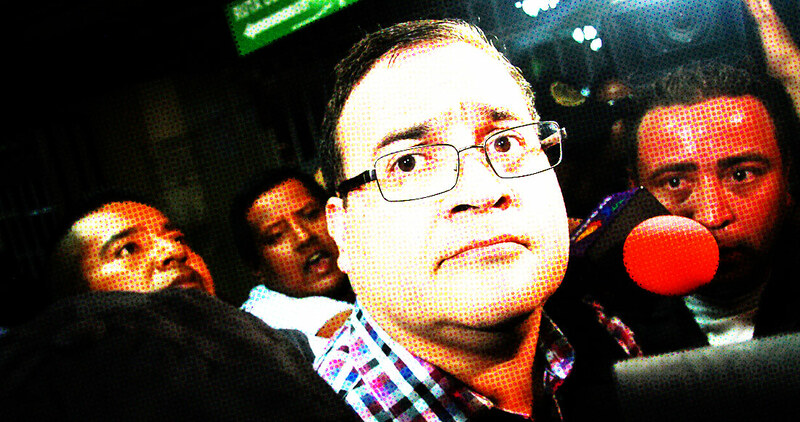 According to Juan Jesús Salazar Núñez, head of the Anti-Corruption Prosecutor’s Office, there was an investigation against Colín Nava carried out by the Superior Audit and Inspection Entity (ESAF), whereby a judge granted the arrest warrant against the former mayor, predecessor of Gisela Mota Ocampo, also belonging to the PRD party, who was assassinated a few hours after taking office on January 2, 2016. Miguel Angel Loya, "El Chito", alleged leader of La Linea, the armed wing of the Juarez Cartel, was detained by Federal Forces. He is allegedly responsible for 60% of the executions in various restaurants and night centres, he is to be charged with kidnapping, extortion, sale of, distribution and transit of drugs in the State. In a short communication, the PGR indicated that Amaya Loya was detained together with Saul , another important member of the criminal organization. Without mentioning an exact location, they signalled that during searches carried out in Ciudad Juarez, they arrested two men, and confiscated two handguns, two kilograms of crystal, a packet of cocaine, a packet of crystal, 28 doses of crystal, fifty three thousand dollars, four vehicles, and diverse radio equipment. Yesterday afternoon, a strongly armed group of Sicarios stormed into bar "La Botana" located in the Francisco Ferrer Guardia colonia in the south of Orizaba and opened fire. 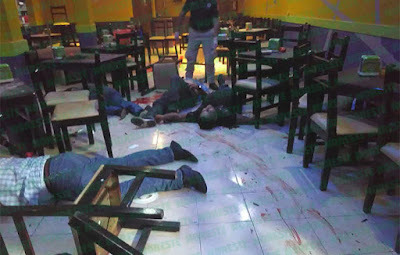 Unofficially it is said that the group of sicarios travelled to the bar on board two vans, the Sicarios jumped out and ran into the interior of the bar, where they found the group of men they wanted to execute, among them an alleged jefe de plaza of a criminal group in the zone. Warning, strong violent images on the next page, view with caution. Translated by me and my computer. DD; There are rumors that there is more to this story than we have here and when we can confirm them we will post updates. Zihuatanejo Gro. 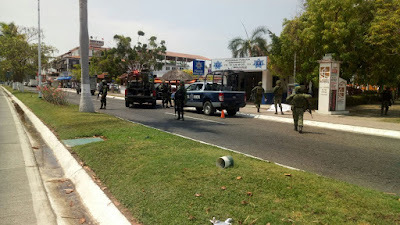 April 25 2017 Three municipal police killed is the preliminary count of an armed attack against the command of this corporation in Ixtapa-Zihuatanejo. 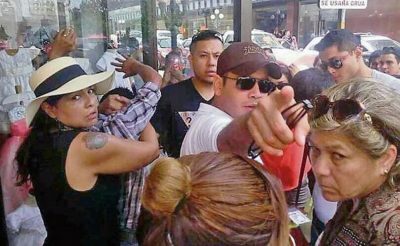 The aggression was perpetrated around three o'clock in the middle of this tourist destination, in the vicinity of a shopping center. The area was surrounded in a few minutes by elements of the various police and military and Marines, as well as personnel from the State Attorney General who took charge of the legal proceedings. Police reports indicate that among the dead is the commander Pablo Hurtado and agents Casareo Sanchez and Efrain Buillen. It was reported that suspected gunmen aboard a Suburban truck pulled up in front of the facility and immediately opened fire with high-power weapons. The commander was lying dead at the gates of the of the command and two more dead in the interior. At press time the mega operation to find those responsible had not produced any detentions. 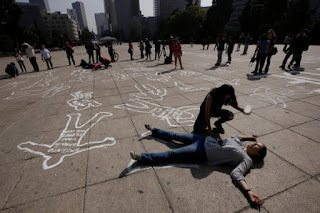 In the study of the project Justice in Mexico at the University of San Diego, the struggle between the CJNG and the Sinaloa Cartel has been analyzed, for control of the zones and routes for narco trafficking has led to a 20% increase in homicides in 2016. Augmented by the poor socio-economic conditions in Mexico and the heroin epidemic in the United States, investigators urge that the drugs problem is a problem of public health. The dispute for the territory controlled by Joaquin "El Chapo Guzman" against the CJNG in alliance with other organizations against the Sinaloa Cartel in different regions of Mexico, is one of the causes for the rise in homicides in the last few years. David Shirk, Director of the program Justice in Mexico, spoke with Zeta about this and other announcements in the annual report "Violence and narco trafficking in Mexico", after his presentation in the University of San Diego. 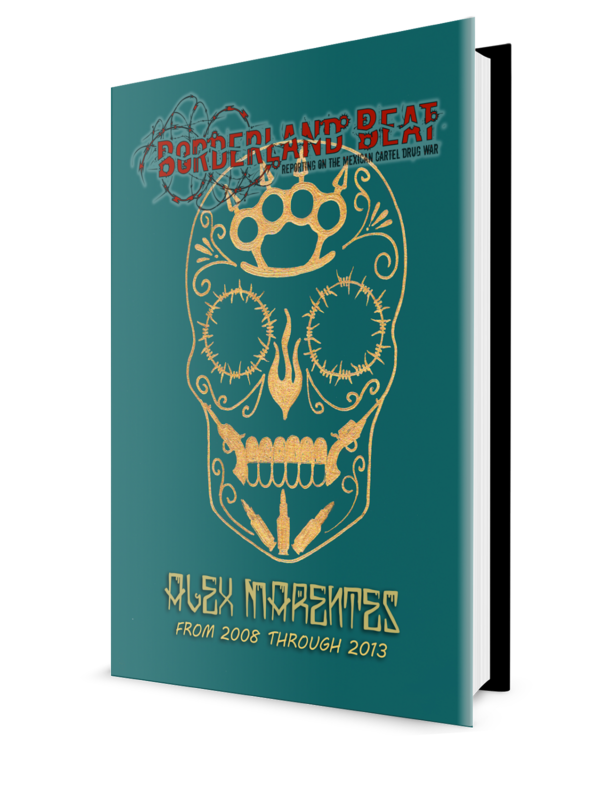 Justice in Mexico started in 2001 as an investigative initiative to study the systems of justice in Mexico. Since then it has evolved into a study of public politics that could reduce the levels of crimes and violence. 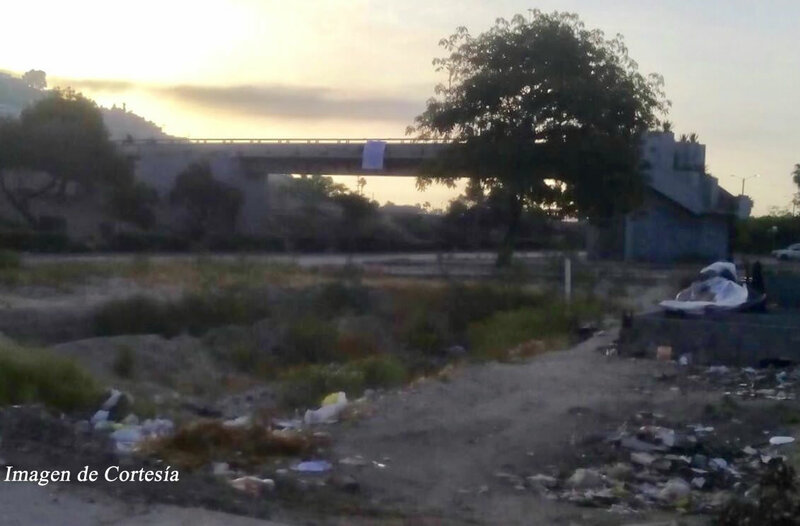 Morelia, Michoacán – Dr. José Manuel Mireles Valverde, who was the spokesman for the nonactive Autodefensa Council of Michoacán and the leader of the autodefensas in Tepalcatepec, sent out an audio that was shared by his family in which he states: “Don’t back down, give it your best,” this, in regards to their struggle for Mireles to be liberated. Translated by Otis B Fly-Wheel for Borderland Beat from a Milenio article with additional picture from the Borderland Beat archive. 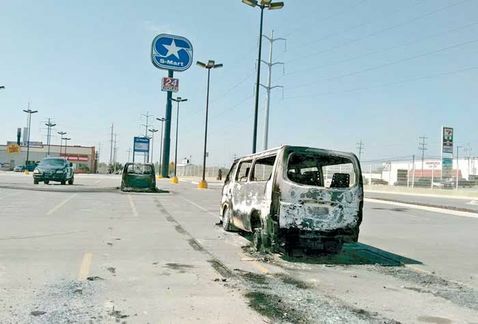 After the blows given by the Federal Forces to the Cartel del Golfo and to Los Zetas, the violence has not ceased in Tamaulipas, because ten criminal cells of different organizations are disputing for control of the State, a war that is concentrated on five towns. The disputes are centred on Nuevo Laredo, Tampico, Ciudad Reynosa, Matamoros and Ciudad Victoria. At the end of the 90's decade, the ex leader of the Cartel del Golfo, Osiel Cardenas Guillen, El mata Amigos, or the friend killer, gave birth to a structure that impacted the nation, because the new armed wing he created, Los Zetas, changed the panorama of organized crime. 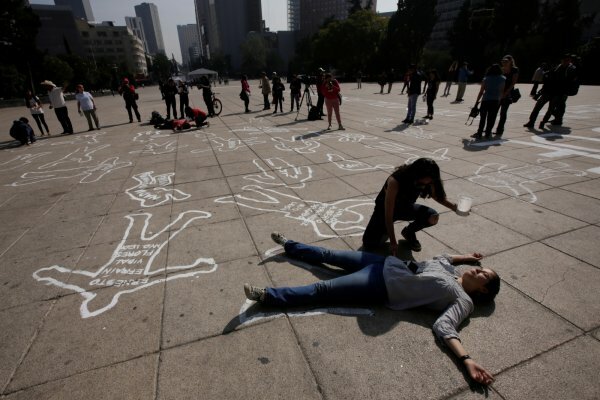 At least 35 people were killed over the weekend in Mexico, according to local officials, amid a widespread surge in drug gang violence that has driven murders to a level not seen since 2011. In Sinaloa state, twelve people were killed in different incidents during the early hours of Sunday, according to local officials. Battles between gangs have increased in the area following the arrest last year of Sinaloa cartel boss Joaquin "El Chapo" Guzman, who was extradited in January to the United States. Nine people were killed in what prosecutors said on Sunday was a gun battle between rival drug gangs in the mountains of Mexico's west coast state of Michoacan. The shootout took place Saturday in an isolated village of the municipality of Churumuco, which borders on Guerrero state, where eight bodies were found on the main street and another in the nearby sierra, the state prosecutor's office said in a statement. The criminal families of Los Arzate and Los Uriate have united in a bid to contain the expansion of the CJNG in the East zone of Tijuana, which has resulted in a war, 443 people have been asassinated in four months. Operating with impunity, the cartels have initiated a campaign of intimidation against Police Chiefs, which they have done publicly with narco mantas. The protagonists in this criminal struggle have no arrest warrants against them, even on the part of the PGJE of Baja California. 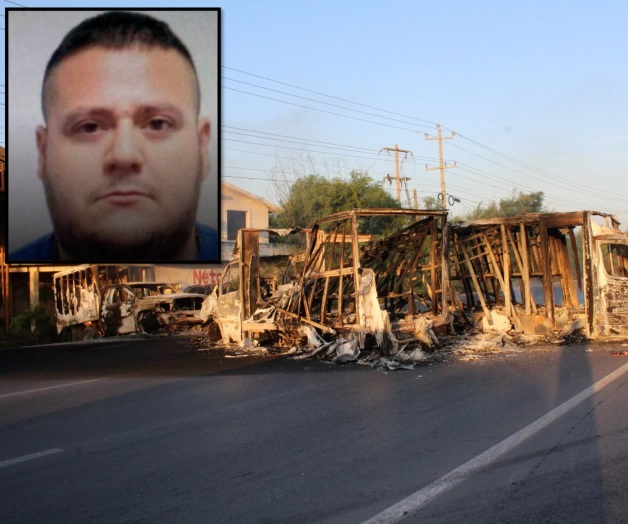 There had been an accord between the Cartels of Sinaloa, CJNG, and Arellano Felix. 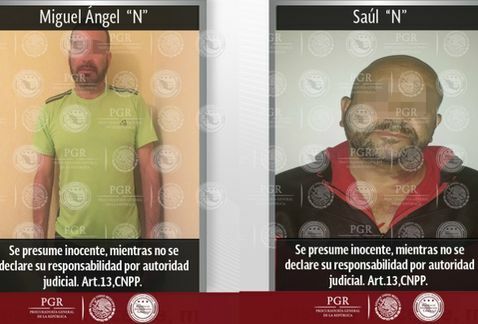 In Tijauana they had divided it up into various zones, but the CJNG have unilaterally changed and have started to move their marijuana and crystal meth through every zone in the City; recently the crews from he Sinaloa Cartel, the brothers Arzate Garcia "El Aquiles" and "La Rana", and Los Uriate have been operating separately confronting each other, they have temporarily combined to recoup the criminal activities, in the delegations of Los Pinos, La Presa, in East Tijuana and Sanchez Taboada. These are the thoughts of a member of the State Counsel for Public Security in order to explain the wave of executions that has shook the City, and the co locations of the Narco manta threats left on bodies. Not being a major aside, in territorial terms, the jewel in the criminal crown in the delegation of Sanchez Taboada, where for the last three years, the CJNG established its illicit centre of criminal operations. Federal Forces elements killed Juan Manuel Loaiza Salinas alias "El Toro" (CDG) and "Pancho" Carreón (Zeta) during an operation that triggered the burning of trucks, homes and some businesses. At 2:30 today, elements of the Navy began a series of operations where the leader of the criminal group operating on this border was killed during the fighting. 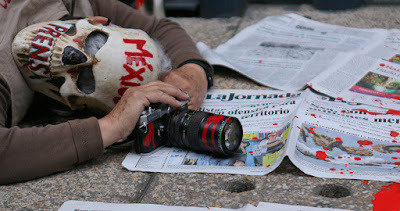 Throughout the city were recorded blockades and burning vehicles, as a result of the death of "El Toro " and "Pancho" Carreón. The government of Tamaulipas announced the death of 'El Toro' and 'Pancho' Carreón during a confrontation in Reynosa. In his Twitter account, the state government published: 'In Tamaulipas, Federal Forces confirm that after fighting with criminals, the delinquents 'El Toro' and 'Pancho' Carreon (sic) died. 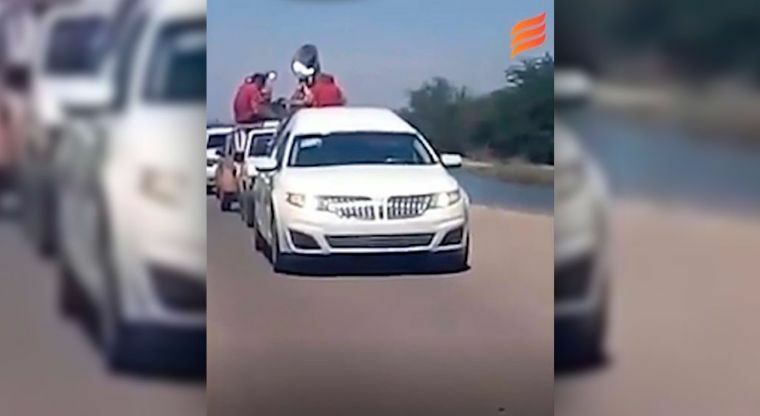 In Tamaulipas, Federal Forces confirm that after confrontations with criminals, the delinquents "El Toro" and "Pancho" Carreon died. One of the dead, Francisco Carreón, 'Pancho Carreón', was identified by authorities as leader of a cell of the self-styled 'Cartel de los Zetas Vieja Escuela'. 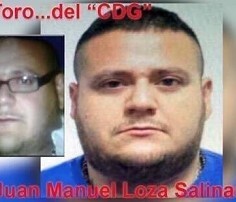 Julián Loisa Salinas, better known as 'El Toro', was designated as head of the Gulf cartel in Reynosa. Attempts by the police to capture him on several occasions led to several clashes with the criminal organization. 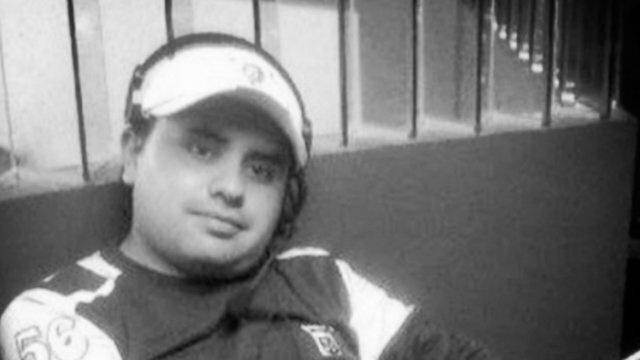 Journalist and activist Juan José Roldán, 36, became the fifth journalist killed in the last two months after his body was found with signs of torture on a dirt road in the state of Tlaxcala, the Union of Tlaxcala Journalists (UPET) reported. Members of the UPET reported that Roldán’s body was discovered Sunday morning in the municipality of Calpulalpan, when the 911 emergency service reported finding a man without vital signs. Therefore, UPET demanded a transparent and immediate investigation to punish those responsible, and in agreement with the state attorney general’s office (PGJE), they have already begun work to clarify the incident. On April 14, another communicator in charge of the police section of a blog in Baja California Sur was assassinated, while in March, the murder victims were Journalist Ricardo Monlui in Veracruz, Cecilio Pineda in Guerrero, and Miroslava Breach in Chihuahua. 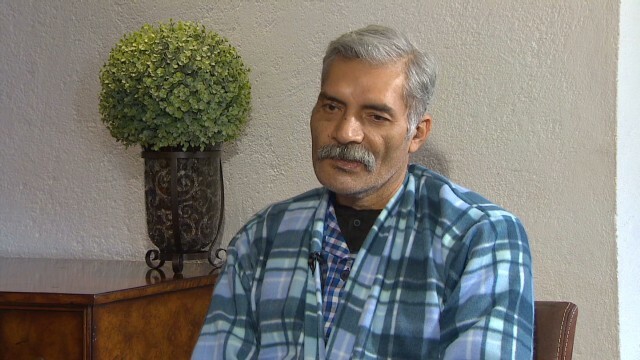 In addition, the reporter and director of the newspaper La Opinión de Poza Rica, Armando Arrieta Granados, was seriously injured after being shot in Veracruz, as he is still in recovery. None of the above cases have been solved yet. Regarding Veracruz, the state continues to be the one that poses the greatest danger to journalists, according to the Office of the United Nations High Commissioner for Human Rights (ONU-DH) in Mexico. 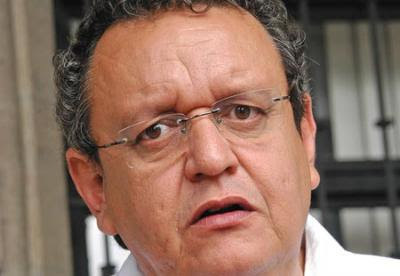 MEXICO CITY — When the authorities caught up with him at a lakeside hotel in Guatemala this past weekend, Javier Duarte, a fugitive former Mexican governor, went quietly. This excess is more public than ever, pushing Mexicans to a boiling point. Empowered citizens, transparency laws and a freer media are now exposing the schemes that governors have used to siphon public funds for their private use. But though the scrutiny has produced mounting evidence of misdeeds, the governors have rarely faced justice. Governors, who like presidents serve one six-year term, control state legislatures, state auditors and state prosecutors — a dominance that gives them the power of a modern potentate. But things may not be going exactly as Duarte had envisioned. 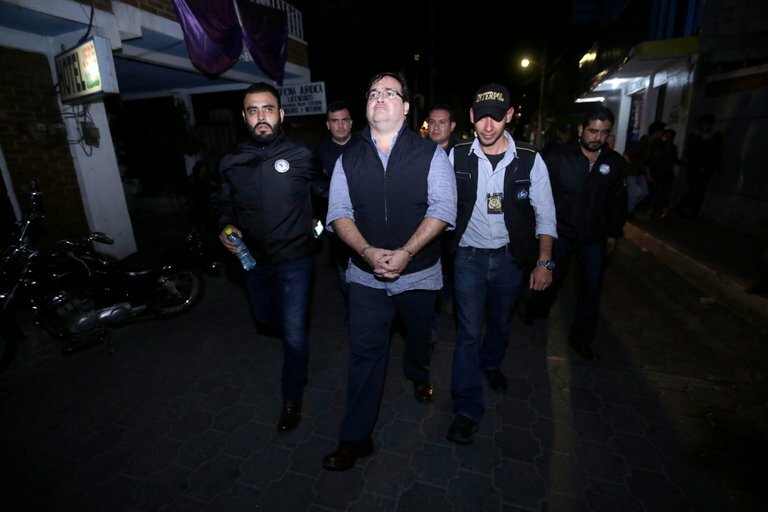 Between his capture on Saturday night and his first audience on Wednesday, Javier Duarte's trek in Guatemala is a sequence of unthinkable scenes before he escaped in October. "After having humiliated so many women, karma comes to Javier Duarte, who in Guatemala was booed by the prisoners of Mara Salvatrucha and comes out in handcuffed photos, lying on the ground," says the reporter Veracruz. These are the same prisoners he will be incarcerated with. Before his hearing, Duarte was not well either 'fired' by other detainees. In a video shared by Víctor Hugo Michel, editorial director of El Financiero Bloomberg TV, maras and narcotraficantes shout: 'Son of the great whore!'. Surrounded by reporters, police, prison guards and other officials, one of the detainees reached through the crowd and "zapped" Duarte on the back of the head. The sun's gaze burns down across the city, in the height of it's power and heat, above two smoldering bodies, which lay across the concrete of the Alamar river channel. The two were discovered this morning, dropped off sometime in the late night or early morning. Tossed from a vehicle, likely a truck, where they were thrown into the bed, and then thrown across the small wall, the charred ash of their singed, deformed flesh, leaving deep black marks across the white concrete, ash mixing with dust, dirt, and dancing in the wind, a scent of cooked flesh in the air. How do you burn a body? Still alive? Why do you burn a body? Concealment? Message? Doused in gasoline, then lit with a cigarette, lighter, or tossed on a fire, made from tires and pallets, in an industrial area, stash house, sweat stained hands shaky with crystal, pistols in their waists, smoke infesting their hair and clothes, sweatshirts and jeans. What temperature does flesh melt at? Skin charred to a crisp, a flaky black replacing the softness of skin, that which our bodies are wrapped in. Stained, scarred, damaged, bruised reflections of ourselves, and our lives. The hands with which we touch others, how we make connections, show respect, kindness, intimacy, love, the lips which touch others to show affection, physical efforts of our thoughts. The nose, the mouth how we taste, how we smell, how we indulge in meals, with family, friends, alone, how we communicate, how we share our memories, thoughts, goodbyes. And eyes, the eyes, which betray our true intentions and feelings, which we see our lives through, the lives of our loved ones, and eyes that have seen horrors. Hands that have committed them. An unbearable heat, the deformation of our faces and flesh, infecting our bodies, filling our nostrils with smoke, taking our sight and our touch, and our taste, and leaving a blackness, a void of humanity. A place where bodies are burned, a place where men know how to burn a body, watch as the first traces of black flesh appear across a face, a sight that have seen before. The banners hang in the sun's earliest light, gently swaying in the light breeze, it is not an uncommon sight in Tijuana. A striking contrast of beauty, the awe of sunrise, and the ugliness that lurks within it, written out in black letters across white cloth. Threats, taunts, information, accompanied by battered, beaten, bloodied bodies of men, and women, often in handcuffs, bound at the wrists, gray and black tape across their mouths, telltale signs of torture. The banners went up in Lazaro Cardenas, in Otay Mesa, another on a pedestrian bridge in Zona Rio. 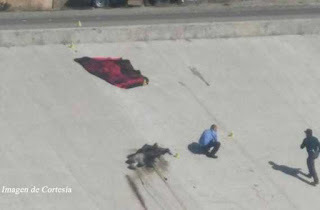 Found in Zona Rio was a black trash bag, assumed to be human remains, blood, sticking and smearing the inside of the bag. The message was addressed to Jose Maria Gonzalez Martinez, the Deputy Attorney General of the Attorney General's office dedicated to organized crime. 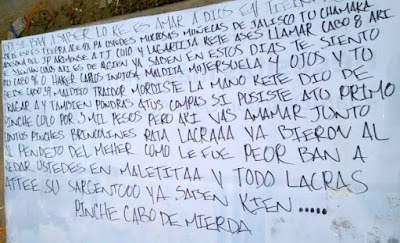 The message accuses Martinez of working with "lacras", (La Rana and Aquiles) and failing his obligations to the messages sender, who released a kidnapping victim, he had apparently been given permission to take. 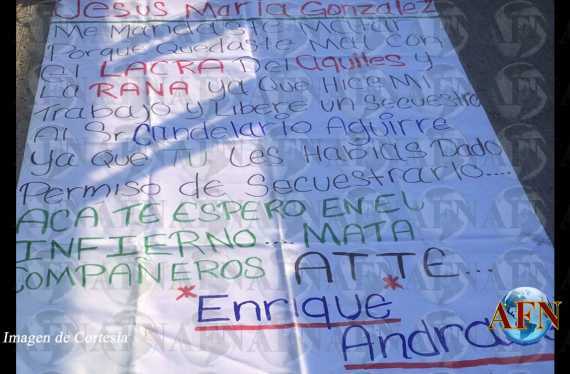 It's signed by Enrique Andrade, likely dead, as it's signed "I hate you in hell", the message seems to be assigning blame to Martinez for the death, and more importantly publicly announcing his ties to Los Aquiles. 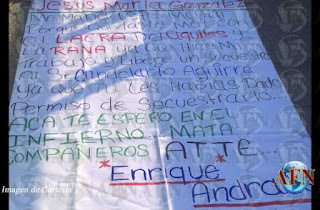 Banners are likely from CTNG, who have locked onto Aquiles, leaving mantas and body parts across the cities, as shootings occur on a daily basis across the colonias which are the forefront of the battle in Tijuana. 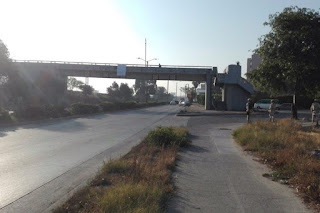 Sunrises and sunsets across a city, with each day there is another message, another body wrapped with tape, executions in Sanchez Tadoada, bullet holes through clothes, leaving the scent of fresh death in the air, a smell of blood and pavement, exhaust fumes, and a city at war. Information has arisen that after taking careful analysis of evidence for crimes into account against Yarrington, that Italy will proceed with an extradition request from the United States and not Mexico. "The Governments of the United States and Mexico have agreed to solicit the Italian Minister of Justice to authorize extradition proceedings of the United States, as well as seeking authorization for the re-extradition of Yarrington to Mexico, they indicated in a joint declaration of the Attorney Generals of both countries, Raul Andrade and Jeff Sessions. The Attorney Generals met this Wednesday in Washington, and after which they gave out a pronouncement together that they highlight that the detention of Yarrington in Florence this past 9th of April was the result of cooperation between authorities from Mexico, Italy and the United States. In the pronouncement, the Attorney Generals states that Yarrington faces serious charges both in the United States and in Mexico, which are the product of criminal acts allegedly committed by the ex Governor in both countries during his mandate as Governor between 1994 and 2004. 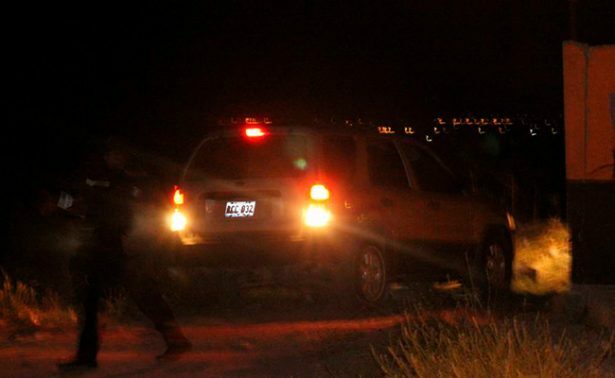 Dozens of citizens and neighbors of the municipality of Nochistlán de Mejía, located at 224 kilometers south of the capital of Zacatecas reported on a violent shootout through various social networks that lasted for several hours during the early hours of Wednesday without the authorities having so far issued an official communication in regards to the incident. Various videos and messages of the citizenship recorded the events where strong machinegun bursts can be heard throughout various parts of the area where the presence of armed groups in the area has been denounced. The “magical town” of Nochistlán has been a disputed area of alleged members of organized crime who are fighting for the drug trafficking corridor bordering both the north and northwest with the municipality of Jalapa, south with Yahualica in Jalisco, to the east with Apulco, to the west of the municipalities of Juchipila and Apozol, to the north and northeast with Teocaltiche in Jalisco and finally to the south bordering with the municipality of Mezticacán, also located in Jalisco. Neighbors of the area alerted on the presence of trucks with armed men on board moving throughout highways and roads as well as in the urban area of Nochistlán. 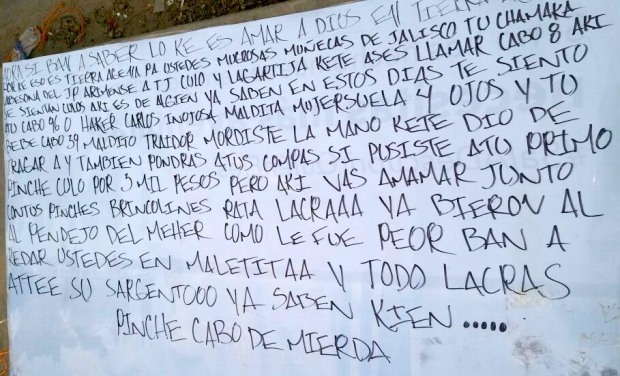 With bursts of gunfire, and the sounds of Sinaloa bands and with Manta messages for the local population, Sinaloa Cartel says goodbye to Francisco Javier Zazueta Rosales, alias Pancho Chimal. Yesterday morning Fransisco Javier Zazueta Rosales, aka Pancho Chimal, was buried in Aguaruto, Culiacan, who was killed during a sustained firefight between Federal Forcecs and suspected criminals in Tepuche. After a finger print test was carried out, authorities confirmed it was Pancho Chimal. Pancho Chimal was the leader of a group in Villa Juarez, Los Chimales; he is credited with having given the order for the ambush of the Military on September 31st of 2016. Garcia detained thief with a "full-nelson"
Ciudad Victoria resident Lorena Rubí García Illoldi was in Tampico visiting family in the city and had gone to the market Saturday afternoon to eat a piece of cake when she heard two people — a 30-year-old woman and her mother — pleading for help after two men had stolen their purses and phones. García’s gut reaction was to act, and the first thing she did was to run and stop the thief and when he tried to escape she immobilized him with a wrestling hold -a full nelson. Other onlookers apprehended the second thief and both, identified only as Luis, 28 and Carlos, 47, were turned over to the State Police. In an interview with the newspaper El Universal when asked if she was worried about exposing herself to risk by what she did, she replied "I didn't have time to think about it". She told interviewer that when she was younger she had been a member of the state and national judo team and had won a national championship. She told the interviewer she had a black belt in Judo. Her daughter snapped photos of the incident.and posted them on Facebook the next day. The story and photos went viral on the internet and Garcia quickly became famous. She said she was surprised by the reaction and that the last thing she was after was public attention. “I did not want publicity or anything like this.” She was referring to all the comments on her Face Book page after her daughter posted the photo. “What I am is satisfied with is doing the right thing as a citizen. I was not abusive, I used only the force necessary. Violence should be the last resort"
García is a literature and theater professor at the Autonomous University of Tamaulipas (UAT), and is a writer, poet and actress. Besides judo, she has practiced lucha libre, a Mexican form of professional wrestling. The victims were a 30-year-old woman and her mother are from Monterrey and it was their first visit to Tampico. The incident took place in a very busy pedestrian street near the Plaza de Armas of Tampico. At the end of the interview with El Universal , the literature teacher said: "I did not think to be heroin, I just want people to know that there are good people in Tampico\". Dozens of Capo's have been extradited to the United States, many of them have been sentenced to life sentence without parole, in the most recent case, Alfredo Beltran Leyva, one of the leaders of the Beltran Leyva Cartel, was sentenced this past Wednesday. 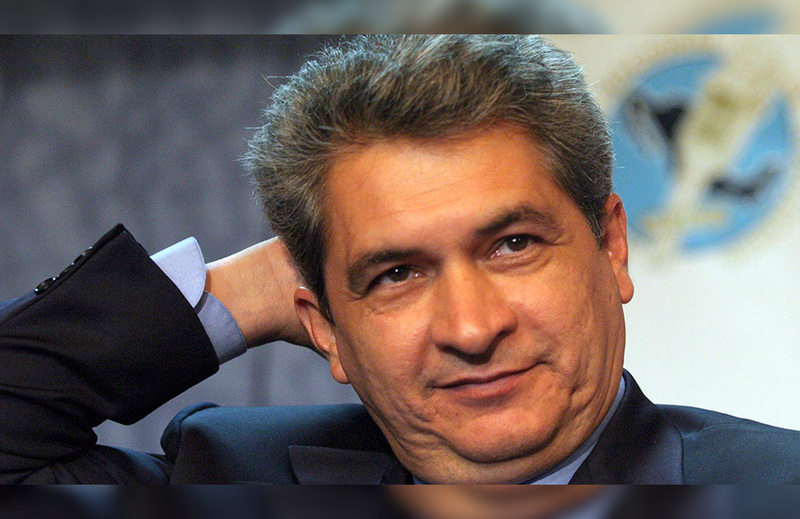 Beltran Leyva, "El Mochomo", was extradited in January of 2014 to the United States. 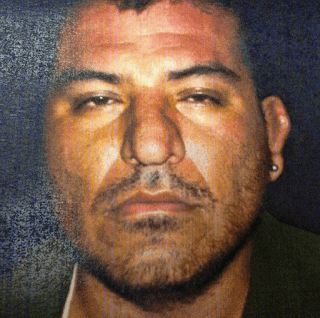 The Capo was identified as a leader of the Federation, as well as being identified as head of a sicario cell known as "Los Pelones" in the south of Guerrero, and Los Gueros, in the north of Sonora. 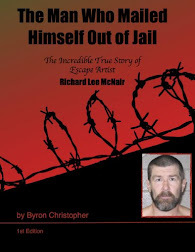 But Beltran Leyva is not the only Capo extradited and sentenced to life without parole, no less than another six have this sentence, and others that have given money and cooperated with information to the United States authorities to change or reduce their sentences.